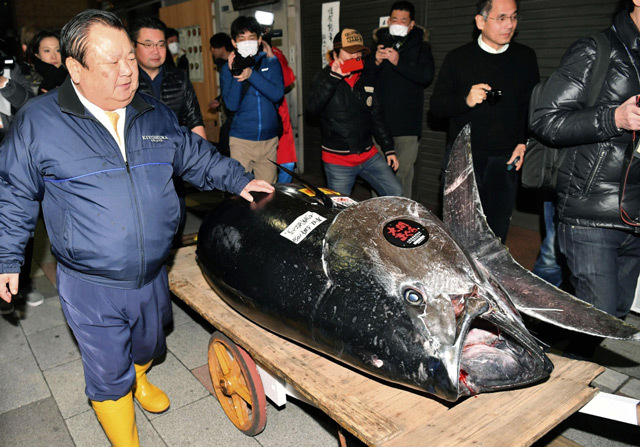 Bidding stopped at a whopping 333.6 million yen for the enormous 278-kilogramme (612-pound) fish - an endangered species - that was caught off Japan's northern coast. 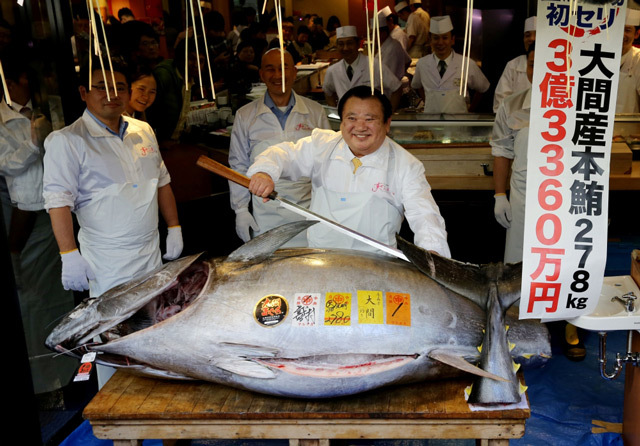 Self-styled "Tuna King" Kiyoshi Kimura paid the top price, which doubled the previous record of 155 million yen from 2013. 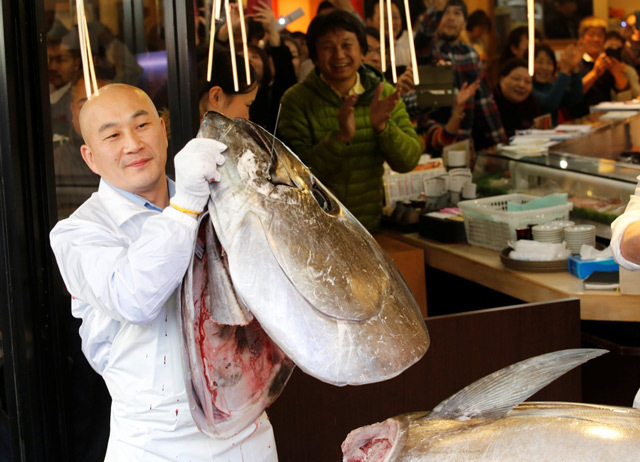 "The price was higher than originally thought, but I hope our customers will eat this excellent tuna." 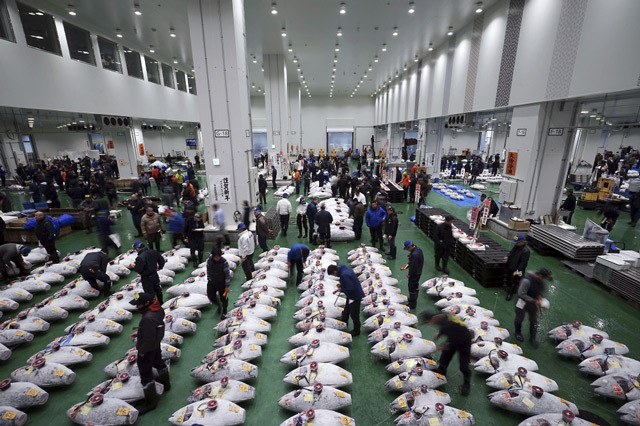 Tsukiji - the world's biggest fish market and a popular tourist attraction in an area packed with restaurants and shops - moved in October to Toyosu, a former gas plant a bit further east. Tokyo governor Yuriko Koike said: "I sincerely hope this market will be loved by many people."